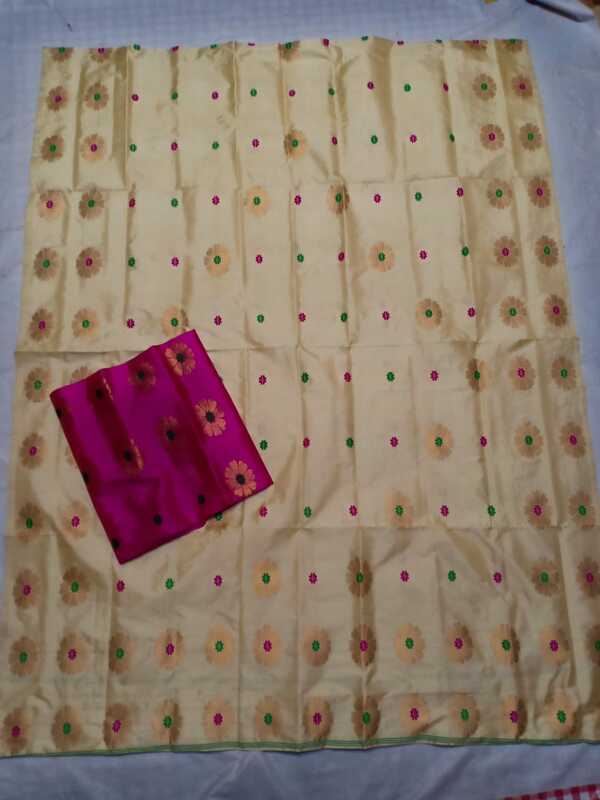 Home » Products » Woman » Mekhela sador » Pure Paat » Assam Silk Pure Paat material in Rani Pink and Off White Contrast set. 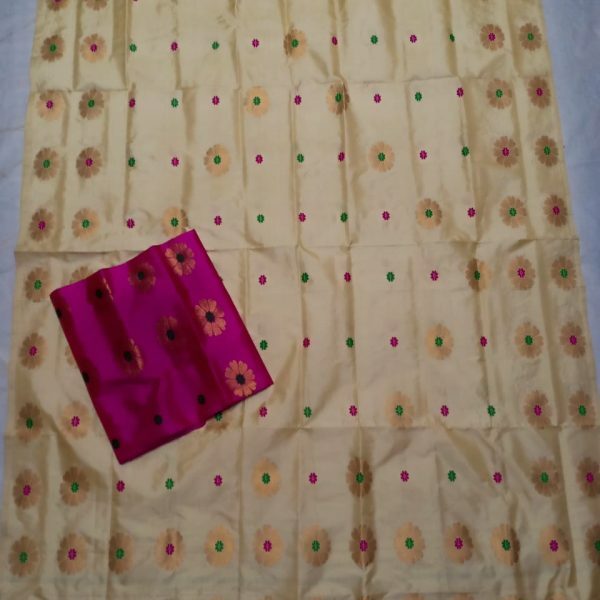 Assam Silk Pure Paat material in Rani Pink and Off White Contrast set. 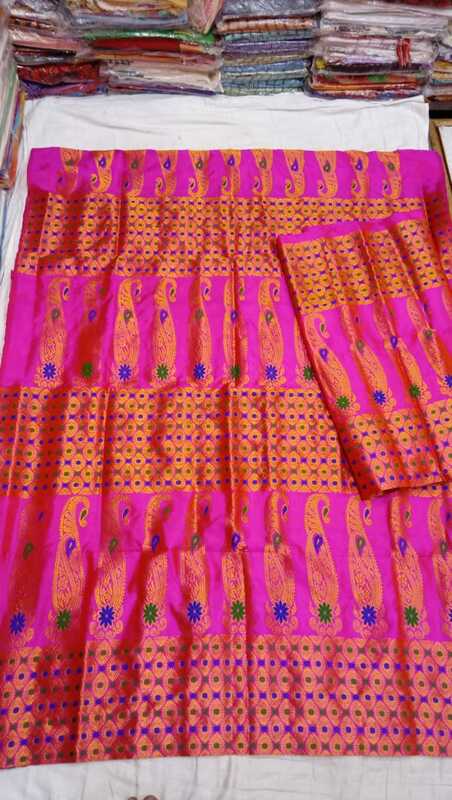 Assam Silk Pure Paat material in Rani Pink and Off White Contrast set. 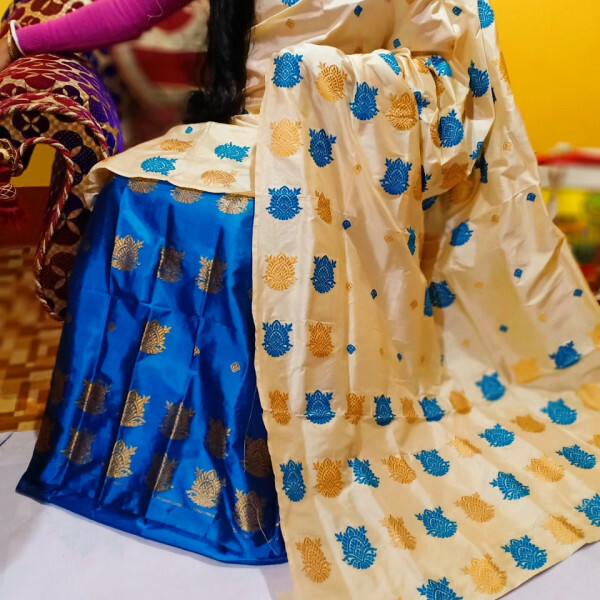 Mekhela is in Megenta Colour with Guna and Mina work and Sador is in Off White base with multiple buta work on whole body and Side border Work on it. 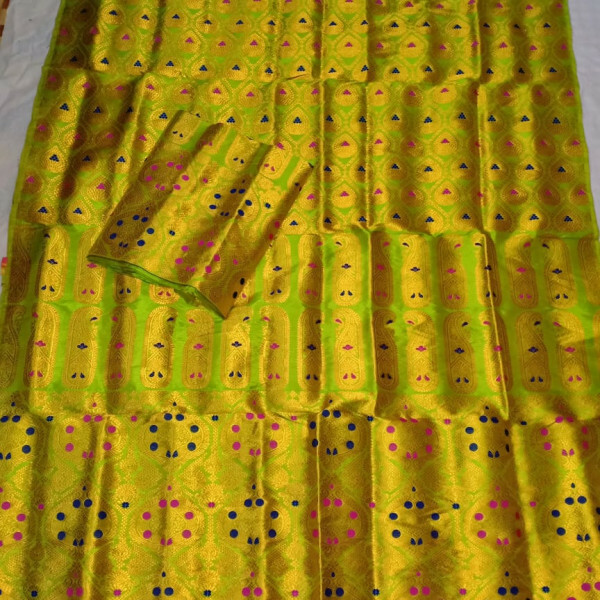 Contrast Mekhela Sador set in Pure Assam Silk material is designed with multiple small buta work and floral design Guna work on Sador and Side border place. 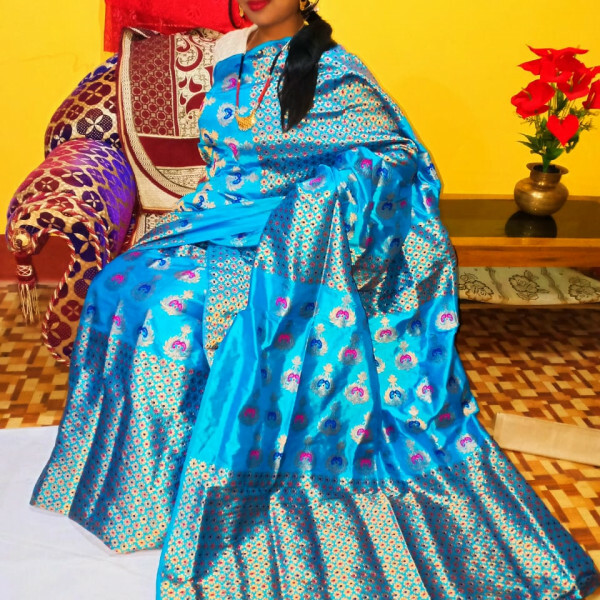 Mekhela is in Megenta Colour with Guna and Mina work. 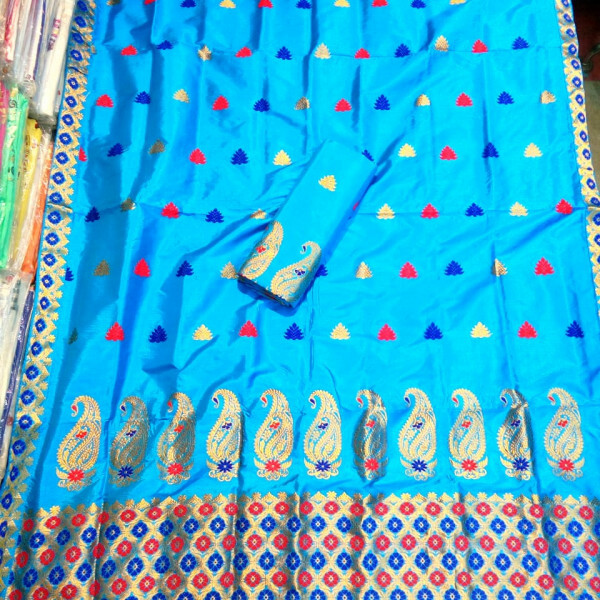 Sador is in Off White base with multiple buta work on whole body and Side border Work on it. 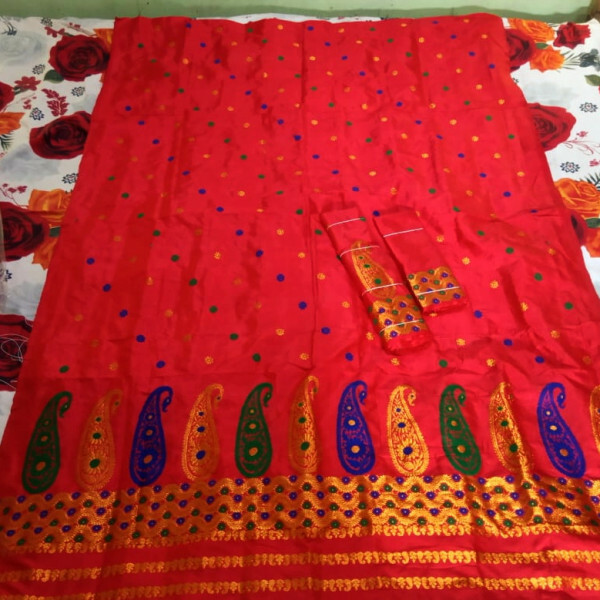 Blouse piece is same colour and design with that of Mekhela. 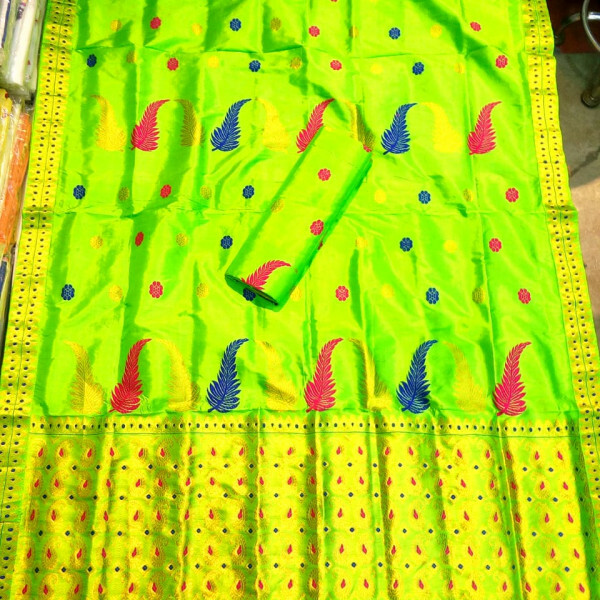 Young girls and ladies from middle ages can drape this mekhela Sador set in different purposes. 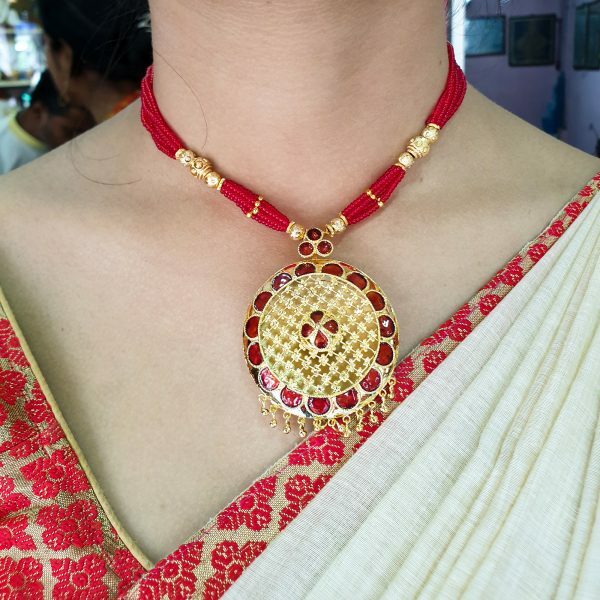 To attend some parties like marriage invitation,birthday celebration,any other occasional use etc. 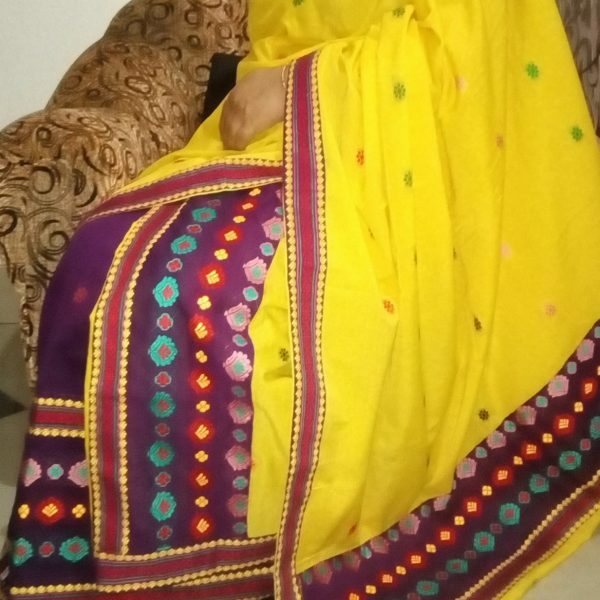 this dress is much suitable. 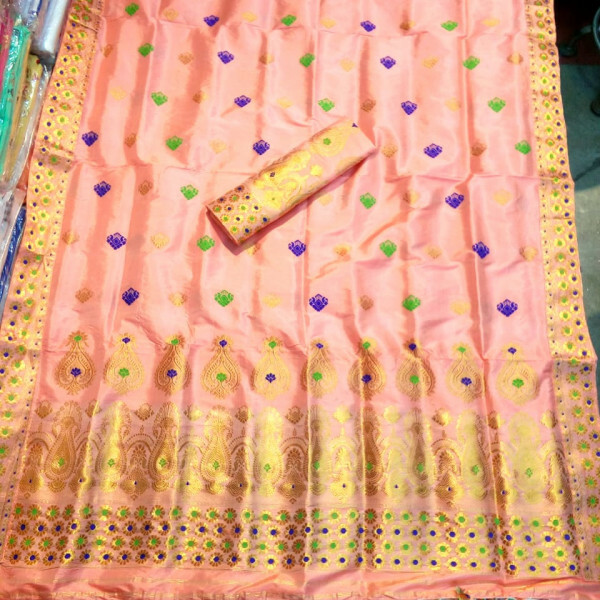 Pure paat in Pink colour with Guna and multiple colour buta work.